#AceFinanceReport – Apr.10: While the size of the tariffs is small compared with the hundreds of billions the U.S. and China are taxing in their trade war, it suggests a breakdown in talks with the European Union over trade at a time when the economy is already slowing sharply: The U.S. and EU have been negotiating since last year about how to avoid tariffs that President Donald Trump has wanted to impose to reduce a trade deficit with countries like Germany……………..But experts warn that tariffs lead to higher consumer prices in countries that impose them and can hurt overall economic growth……………..The U.S. Trade Representative’s office released late Monday a list of EU products it would tax in anticipation of a ruling by the World Trade Organization this summer. The U.S. had in 2004 complained to the WTO, which sets the rules for trade and settles disputes, that the EU was providing unfair support to Airbus: The WTO ruled in May last year that the EU had in fact provided some illegal subsidies to Airbus, hurting U.S. manufacturer Boeing. The U.S. expects the WTO will say this summer that it can take countermeasures to offset the EU subsidies. 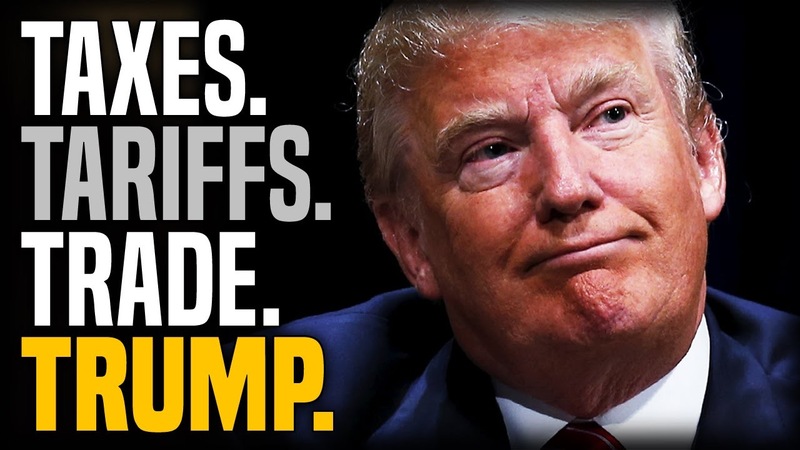 It will now start a consultation with industry representatives on the list of EU goods it wants to tax so that it can have a ready list: “ The EU has taken advantage of the U.S. on trade for many years…………It will soon stop!” Trump tweeted Tuesday. The U.S. move, while following international trade rules, appears to reflect broader U.S. frustration at the slow pace of talks on trade with the EU: Trump in June last year imposed tariffs of 25% on steel imports and 10% on imported aluminum from the EU in a move that seems aimed at helping the U.S. industry but has also raised costs for many businesses that import these products. The EU responded with tariffs on about 2.8 billion euros’ worth ($3.4 billion) of U.S. steel, agricultural and other products, from Harley Davidson bikes to orange juice: The U.S. and EU have since July been in talks to scale back the tariffs, with Trump holding out the bigger threat of slapping tariffs on European cars — a huge industry in the region — should the negotiations not yield a result. U.S. officials have repeatedly expressed frustration at the slow pace of the talks. The U.S. attempt to tax Airbus jets comes just as Boeing is facing broad challenges over the global grounding of its 737 Max airliners amid concerns that technical problems could have contributed to two crashes in five months: Tariffs on European airplanes could in theory help Boeing and hurt Airbus, whose shares were down 1.7% on Tuesday on a day when stock markets were mostly higher.